TOP STORY: Mourinho to make Madrid comeback? Real Madrid are "almost 100 percent" certain that they can bring Jose Mourinho back to the Bernabeu for a second spell as manager, according to the Daily Telegraph. Santiago Solari's future as Madrid coach looks uncertain following Tuesday's shock Champions League elimination at the hands of Ajax, while Mourinho said this week that he would have "no problem" returning to the Spanish giants. Mourinho was fired by the club in 2013 after a three-year stint which saw him win La Liga and the Copa del Rey but for the most part stayed in the shadow of Pep Guardiola's Barcelona side. However, it has been reported that Madrid president Florentino Perez's opinion of the Portuguese coach has remained high since Mourinho left, after which he had times in charge of Chelsea and Manchester United. AS reports that Perez held meetings with fellow club chiefs until 2 a.m. following the loss to Ajax, while Marca claims he considered firing Solari right after the game. Solari, who replaced sacked Julen Lopetegui as coach of Madrid in October, has been under pressure following a dismal week which saw his side lose twice to Barcelona. Madrid fell 3-0 at home to Barca to lose 4-1 on aggregate in the Copa del Rey semifinals before Saturday's 1-0 league defeat against Ernesto Valverde's side also at the Bernabeu. Asked about Mourinho's possible return to the Spanish capital, Solari said ahead of the Ajax game: "Mourinho? This club has always had more suitors than Julia Roberts." 23.13 GMT: That's going to bring Thursday's live edition of Transfer Talk to a close. 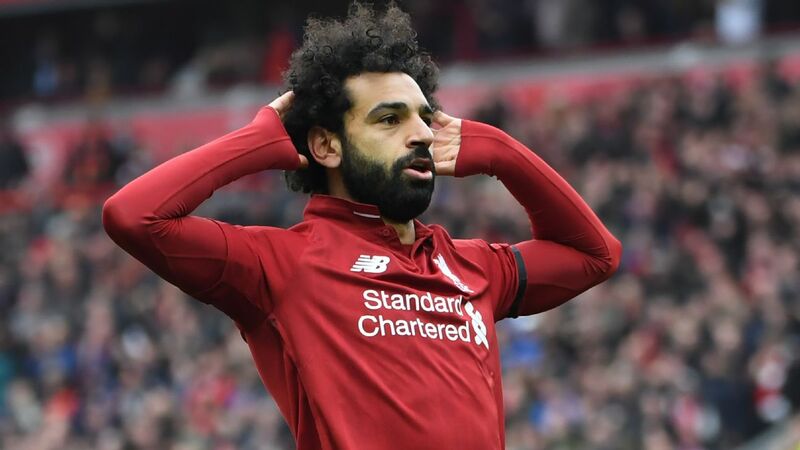 Thanks very much for joining us, and be sure to check back in a few short hours when we return with the latest gossip pulled from Friday's back pages. 21.36 GMT: Manchester United have identified Juventus right-back Joao Cancelo as the man to replace the ageing Antonio Valencia and Ashley Young, according to Sport. One problem with that plan? The 24-year-old only joined the Bianconeri in a €40m deal last summer and has a contract through 2023, making his potential purchase expensive and unlikely. 19.59 GMT: Sevilla standout Pablo Sarabia rejected a move to Chelsea in the January window, according to Mundo Deportivo. 18.22 GMT: Following Real Madrid's Champions League exit at the round-of-16 stage, the club's soul searching has begun. Madrid-based Marca reports that Los Blancos are ready to move on from Gareth Bale and Isco -- while feeling that Marco Asensio, Alvaro Odriozola, Toni Kroos and Raphael Varane are salvageable -- and are "guaranteed" to land Porto defender Eder Militao as part of a summer spending spree that will see the club target a central defender, a left-back, two midfielders and a striker. 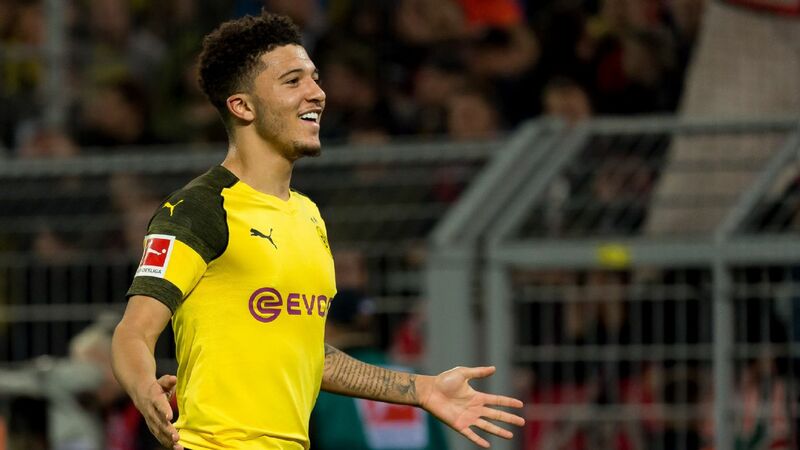 16.45 GMT: The Sun are claiming that Jadon Sancho will reject any offer from Manchester United in order to continue his development at Borussia Dortmund. The report adds that PSG are also interested. 15.48 GMT: Just it seemed things couldn't get any worse for Real Madrid, AS are reporting a huge bust up between Sergio Ramos and Florentino Perez, which has led the Blancos captain to ask to leave. The report claims the president slammed the team for the 4-1 home loss to Ajax -- labelling them shameful. Ramos took exception and suggested the disastrous season was in fact Perez's fault. Ramos ended by saying to Perez: "Pay me and I'm leaving." Incredibly, it was after that comment that discussions of over Jose Mourinho -- whose relationship with Ramos is non-existent -- replacing Santiago Solari as manager began. Way to make the peace, Florentino. 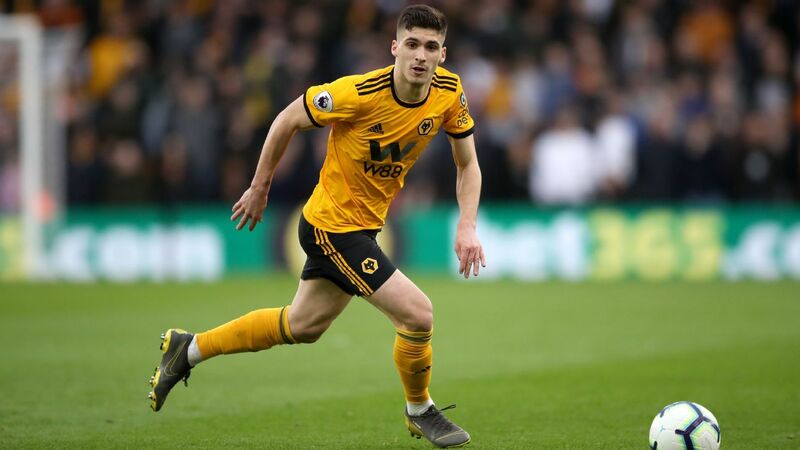 14.55 GMT: Manchester City's hunt for a left-back could see them smash the transfer record for a defender, if reports in The Telegraph are to be believed. The daily suggests City would have to pay even more than the £75m Liverpool paid for Virgil van Dijk if they want to sign Ben Chilwell from Leicester. 14.01 GMT: The Sun are reporting that Newcastle are ready to break their transfer record again by bidding £40m for Hoffenheim forward Joelinton. Newcastle broke their record in January, when they signed Miguel Almiron from Atlanta United for £20m. 13.05 GMT: Barcelona want to follow up the signing of Frenkie de Jong by bringing in his Ajax teammate Matthijs de Ligt but they will have to sell players to be able to afford the centre-back, sources have told ESPN FC . 12.15 GMT: One step further with Jose Mourinho now as AS are reporting that negotiations between Real Madrid and Mourinho's agent Jorge Mendes have got underway. The article claims the club are working under the assumption Solari will not be on the bench for Sunday's clash away at Valladolid. Mourinho manager Real Madrid from 2010 to 2013, winning a Copa del Rey and La Liga title. 11.20 GMT: Tiemoue Bakayoko has indicated his wish to remain at AC milan next season rather than return to parent club chelsea if the Italian side qualify for the Champions League. Bakayoko, 24, is on loan at the San Siro after he failed to live up to his £40m price tage at Stamford Bridge last term. 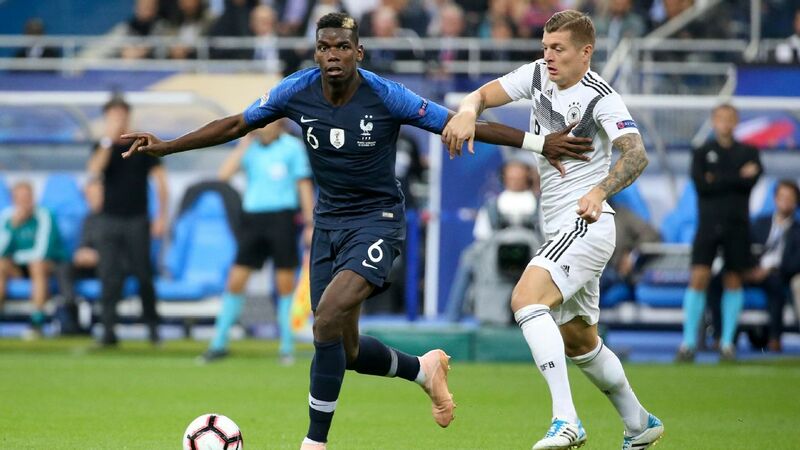 Speaking to France Football, the midfielder said: "When I think of my future, it is a total blur. I cannot empty my head. "I'm doing everything to qualify for the Champions League. It's been five years since the Milan fans have heard the Champions League anthem and I want to be there the next time it sounds in San Siro. "I'm having a good season, I'm very grateful to Milan. I'm very happy here, although at first, I was criticised. But it's normal, they expected more, there is no problem." 10.10 GMT: Manchester United's players expect Ole Gunnar Solskjaer to be named as the club's manager on a permanent basis before the end of the season, with sources telling ESPN FC that senior staff at Old Trafford are merely waiting for Ed Woodward, the executive vice-chairman, to confirm the Norwegian as Jose Mourinho's full-time successor. Solskjaer guided United to a 14th win in 17 games as caretaker manager with Wednesday's remarkable 3-1 victory away to Paris Saint-Germain in the Champions League. The win overturned a 2-0 first-leg defeat to win the tie on away goals and secured United's place in the quarterfinals of the competition for the first time the 2013-14 season. 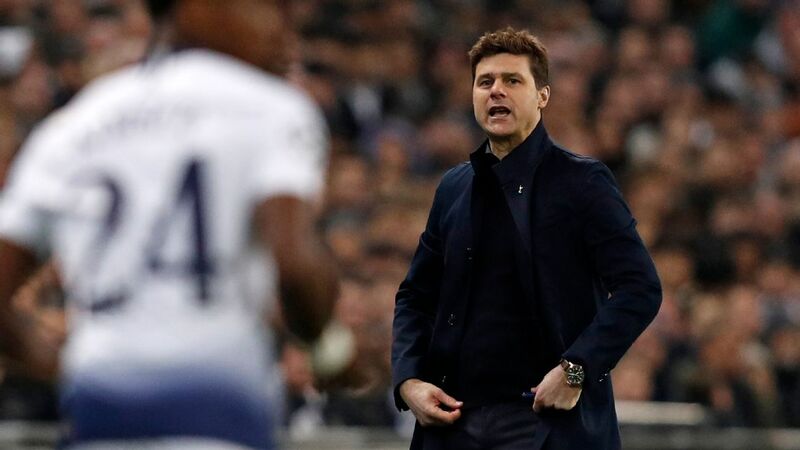 The 46-year-old's success in turning around the club's fortunes since replacing the sacked Mourinho last December has seen him overtake Tottenham Hotspur manager Mauricio Pochettino, who was Woodward's initial preference for the job, in the pecking order to be named the full-time boss. The club have insisted that the plan remains for the managerial vacancy to be filled at the end of the season, but there is now a hope within the squad that the uncertainty will come to an end before May. ESPN FC reported last week that United had still not approached any manager, other than Solskjaer, to discuss the long-term position at Old Trafford and sources have said that the mood behind the scenes is now pointing firmly towards Solskjaer being confirmed in the role sooner rather than later. 09.15 GMT: Liverpool have made contact with Bundesliga club Leipzig over a deal for attacker Timo Werner, SportBild reports. The German outlet claims that Werner, who is also a target for Bayern Munich, is wanted at Anfield. Germany international Werner, 23, is under contract with Leipzig until 2020. 08.00 GMT: Manchester United's hopes of signing winger Jadon Sancho have been dashed as the rising England star wants to stay at Borussia Dortmund, The Sun reports. 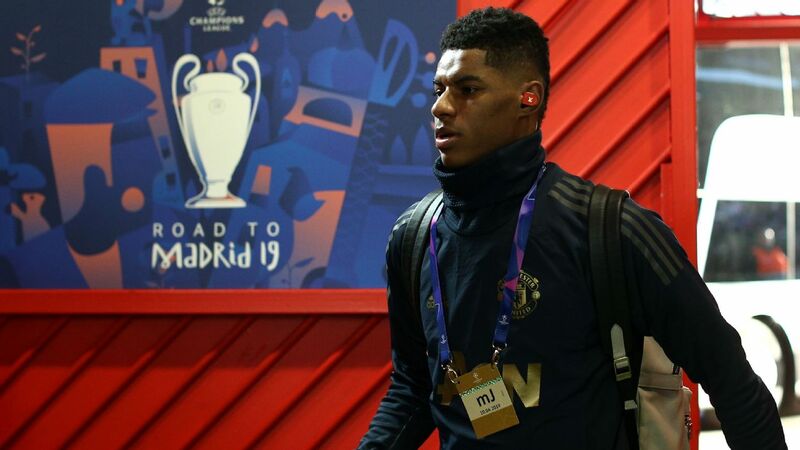 United are reportedly ready to pay £100m for the 18-year-old, who left their local rivals Manchester City to join the Bundesliga giants last season. However, it is the consistent game time and rapid development that Sancho has enjoyed at Dortmund that has convinced him to stay at the Westfalenstadion, according to The Sun. PAPER TALK (by Nick Judd): Buffon to stay put, so same for De Gea? Despite his side's dramatic, late exit from the Champions League against Manchester United on Wednesday, Paris Saint-Germain goalkeeper Gianluigi Buffon is set to sign a contract extension in the French capital, according to reports in Italy. Should the 41-year-old increase his stay for another year, with the option of a third year next summer, that would represent good news for Manchester United, who would be increasingly confident of keeping their own shot-stopper, David De Gea. PSG were one of several top clubs monitoring De Gea's contract situation, but with Les Parisiens out of the picture and contract talks reported to be going better than they were in January, the odds on the Spaniard staying in Manchester will surely shorten. Conte set for Old Lady return? Antonio Conte could be back in the Juventus hot seat this summer, if you believe reports from the Express. Conte has been out of work since he was sacked by Chelsea last summer, and with current Juve boss Massimiliano Allegri set to leave at the end of this season, Conte could be in line for a dramatic return alongside club legend Andrea Pirlo. The Express says Juve's plan is for Pirlo, who was central to Conte's reign, to work as Conte's No. 2. Conte, whose relationship with club president Andrea Agnelli is believed to have improved since their fallout five years ago, won three Serie A titles between 2011 and 2014 during his last stint in Turin. Barcelona have expressed their interest in highly rated Ajax youngster Matthijs de Ligt, according to radio station SER Catalunya. Manchester United have long admired the central defender, but it appears that Barca are looking to reunite De Ligt with summer signing Frenkie de Jong. 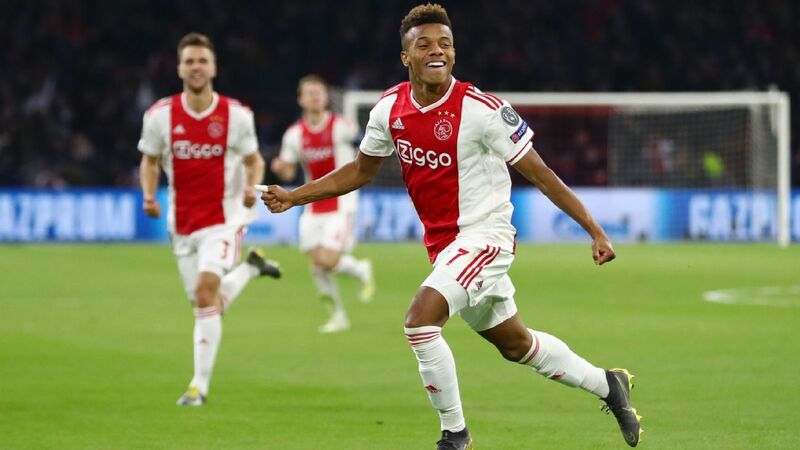 De Jong, who returned to Ajax on loan, and De Ligt both starred as the Dutch side stunned Real Madrid in a 4-1 win at the Bernebeu in midweek, and Barca president Josep Maria Bartomeu confirmed that the latter is firmly in his club's sights: "His name is on the table," Bartomeu said. Barca moved quickly to sign De Jong last summer to prevent any of their rivals from stealing a march to his signature, and they might think the same tactic could work this time. -- AC Milan have revealed that €60 million could be the figure that sees captain Alessio Romagnoli leave the San Siro this summer, reports Gazzetta dello Sport. 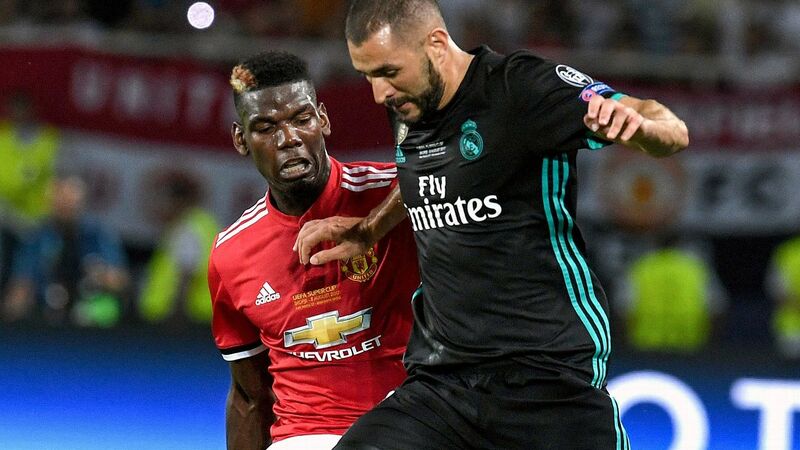 The Rossoneri are reluctant to lose their talisman, but Manchester United are keen on signing the 24-year-old to bolster their defence. -- The Independent suggests that Jurgen Klopp is Real Madrid's first choice to replace Solari. They believe the current Liverpool supremo tops a shortlist including Max Allegri and Mauricio Pochettino. -- Tottenham Hotspur are starting their search for goalkeeper Hugo Lloris' successor, says Calciomercato. The Italian website is suggesting Lazio's Albanian keeper Thomas Strakosha is the man to fill the Frenchman's very large shoes. However, Lazio are said to be reluctant to let their custodian go. -- With several clubs eyeing a move for Salomon Rondon this summer, it has been revealed that his price tag will depend on West Bromwich Albion's fortunes in their quest for promotion. 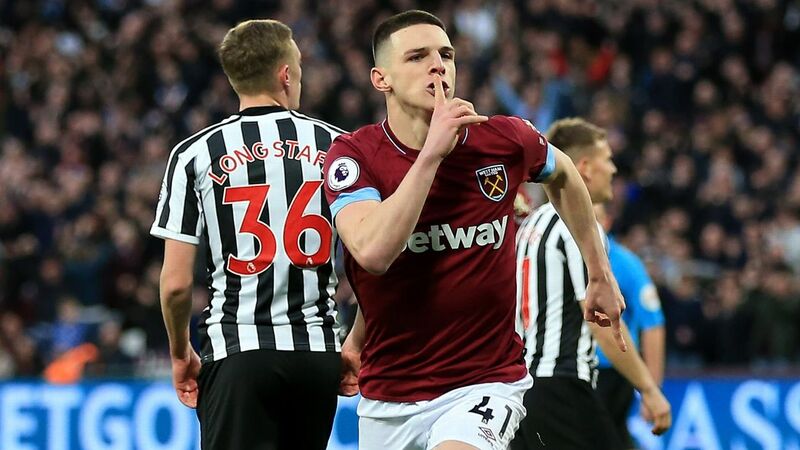 Newcastle are keen to keep their loan star, and he could cost £16.5 million if the Baggies fail to go up, reports the Express & Star. That fee would rise if Darren Moore's men manage to escape from the Championship.